The winter training season runs from January through February. It is an essential element of the year-round program as it is the time most rowers see significant improvement in their physical fitness and competitiveness. They set goals for the personal and team fitness, and they focus on building teamwork and leadership skills. Winter is also the second tryout season for the Winter/Spring season. Tryouts are the first week of January. This will be the last time rowers will be permitted to join the team over the school year. Click here to find out more about tryouts. The spring season starts in March and runs through the middle of May. It is the “sprint racing” season that gives the athletes the chance to travel and compete in 1500 meter races against local and regional teams. It is our goal to have all rowers compete in as many races as possible. The fall season begins in September and runs through mid-December. The fall is our recruiting season. Interested participants can tryout during our annual tryout week. Click here to find the tryout date for the upcoming season or year. 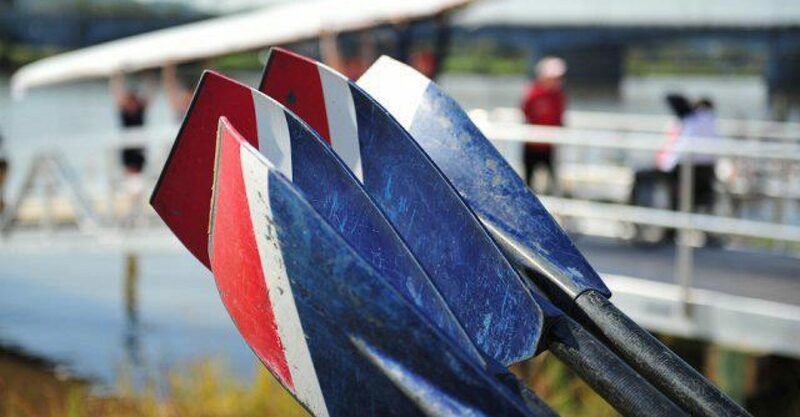 Tryouts include a week of participation in the program after-school from 4:30-6: 30 pm, the chance to learn the basics of rowing, some small relays, a friendly chat with a coach, and lots of fun team-building games! Once you join the team, you can expect to prepare for head race seasons. It is called the “head race” season because the race we participate in are called head races. A head race is roughly a 5k course that winds down the river. The focus of the head race season is building your rowing technique and endurance while making new life-long friends. Did we mention the pizza party at the end?